Although Florence is famous for having once been flooded with artists and thinkers, today it is the tourist who inundates the city. 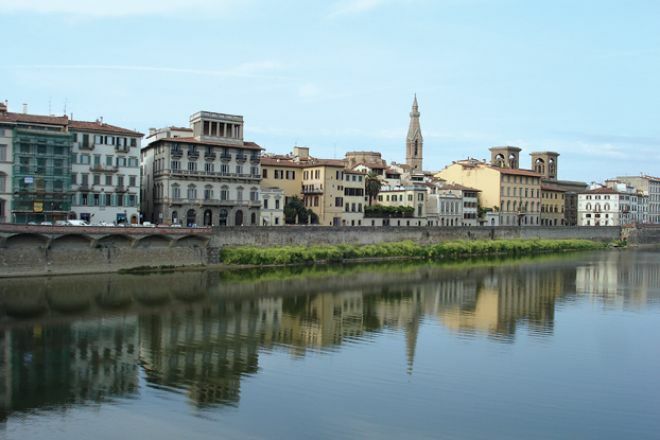 Florence hosts more visitors than it houses locals. Many of these travellers are students enrolled in the city’s numerous language schools. In the summer months, my Facebook, littered with photo albums titled “Firenze,” reveals the multitude of my peers who have made this voyage. The Florence trip appears to be the new pilgrimage for the young Italian-Canadian, as well as for many non-Italian students eager to experience Europe. Students flock to Florence under the pretence of learning Italian, indulging simultaneously in the city’s various cultural offerings. 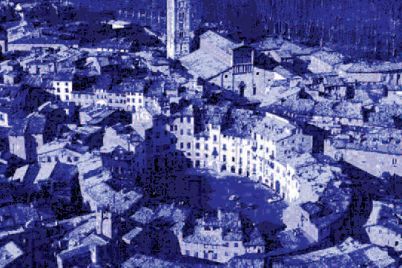 In May 2009, at the age of twenty, I flew Montreal-Florence with two friends to experience the city and to study its language. When I first entered my beginner’s Italian classroom, my teacher greeted me in Italian – to which I pointed to myself and said “Melanie.” Although my earliest words as a toddler had been Italian, my father eventually dropped his efforts when Barney and Mister Rogers tugged me away from his mother tongue. My grandparents always regretted that he never enrolled me in Italian school, but with an Egyptian-Canadian wife, and parents who were fairly functional in French, I suppose he had never found it necessary. Although in several ways my family is traditionally Italian, I entered the Florentine class without even the basic vocabulary required to introduce myself. Gelato was a word with which I was fondly familiar, yet it gained me no bonus points in my lessons. During my three weeks in Florence, my mastery of the language steadily improved. Soon I could preface “Melanie” with “mi chiamo,” and shortly after that I could order food or ask for directions with ease. My friends and travel companions, Tina and Maria, urged me to stop speaking in an embarrassed tone of voice, advising that I would seem more fluent if I spoke with more confidence. Within those three weeks my shy smile eventually made fewer and fewer appearances. As I strained to grasp the language, I began to imagine how my grandparents must have struggled when they arrived in Canada, speaking neither English nor French. 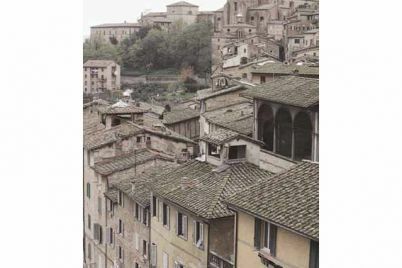 I visited Italy in privilege, travelling in leisure because I could – a journey far removed from their financially-driven decision half a century earlier. When Maria had suggested a trip to Florence, I was intrigued by the potential to study the language. I remembered a conversation I had had with a Parisian friend who was studying at my university and who, upon arriving in Canada, initially knew little English. “English made me someone else. People thought I was so shy. I’m funny, I love to tell jokes, but in English, I didn’t know how,” she said. I thought about my grandparents – how I had only ever spoken to them in a language not their own. Their sentences were often fragmented: a mix of English, French and Italian. I wondered how much of them was tangled up in those sentences, and how much of them was lost. Florence provided Tina and me with a base level of Italian, upon which each of us has since attempted to build. For Maria, who had been fluent in Italian since she could first form words, our trip was the realization of a long-held dream. A history major with a great interest in the Italian Renaissance, she brought Tina and me to many museums, where we were introduced to our own ancestral history through the stories locked in the artworks. After a morning in class and an afternoon typically spent seeing the sites (from atop the Duomo or up close on the cobblestone streets), we would unwind with a traditionally late Italian dinner and a gelato in an airy, star-lit piazza. Although none of our relatives is Florentine, this city nonetheless provided for my friends and me a reclaiming of sorts of our Italian background. It prompted within me a renaissance of interest in my cultural heritage. Melanie Tutino is currently completing her undergraduate degree in Honours English Literature at Bishop’s University.